Rachel Zoe has plenty of experience dressing celebrities for red carpet events, so it's no surprise that her label is loved for its eveningwear. 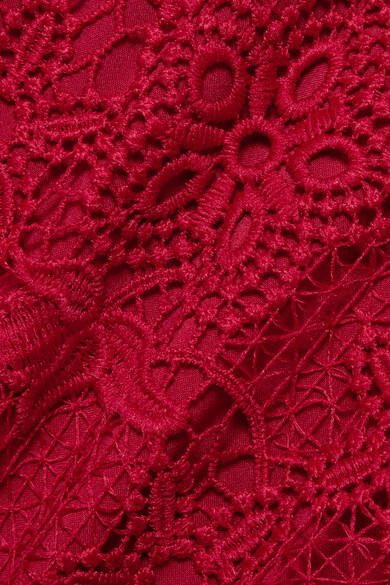 This 'Annalise' midi dress is made from intricate crimson guipure lace in a figure-skimming silhouette and has a pretty tiered hem. Wear it to weddings or parties with heeled sandals and a clutch. Shown here with: Rosantica Tote, Gianvito Rossi Sandals, Sophie Buhai Earrings, Jennifer Fisher Cuff.